Specialist leaders of education are ambassadors for change, focussing on developing leadership and building capacity. While other roles (for example; advanced skills teachers) concentrated on developing classroom expertise, this role is about developing other leaders so that they have the skills to lead their own teams and improve practice in their own schools. 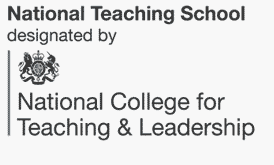 Teaching schools are responsible for the selection and placement of SLEs who are accredited by NCTL. This is one part of the government’s plan to give schools a central role in developing a self-improving and sustainable school-led system. At Future Stars TSA we have SLEs with the following specialisms. Teaching school alliances are now able to recruit on a rolling basis.